Last edited by alan131210 on Sun Sep 16, 2012 11:46 am, edited 1 time in total. QANDIL MOUNTAINS,— The Turkish army announced Monday that 373 Kurdish guerrillas of the outlawed Kurdistan Workers' Party (PKK) were killed in clashes during the past five months and the PKK rebuffed the statement. The CNN Turkish news station quoted a statement issued by the Turkish General Staff as saying that 373 members of the PKK and 88 soldiers were killed in the past five months. The PKK denied the news. The party said in a statement published by the pro-PKK Firat ANF news agency, that the clashes over the past five months left behind 1,035 soldiers and 101 PKK fighters dead. Violence has increased recently in Turkey's Kurdish region in the southeast. PKK is fighting for the autonomy of the Kurdish parts of Turkey and tens of millions of Kurds in the country. But now its aim is the creation an autonomous region and more cultural rights for ethnic Kurds who constitute the greatest minority in Turkey, numbering more than 20 million. A large Turkey's Kurdish community openly sympathise with the Kurdish PKK rebels. 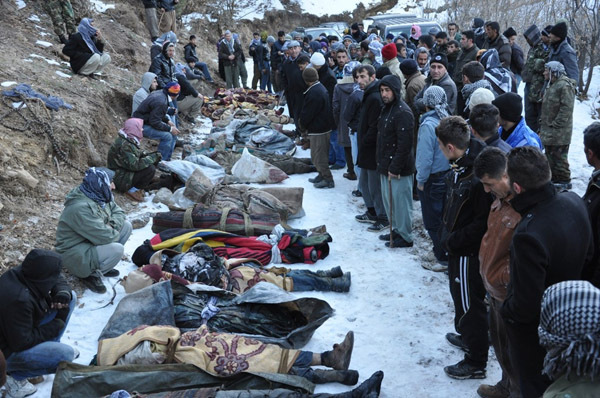 The barbarian terror state Turkey say every month that they kill 200-500 Guerriallas. That would mean, that they kill 5.000-12.000 Guerrillas every 2 years. The PKK does not even have so much fighters. They just bomb a rock and say they kill 100 Guerrillas, so that the turkish population is happy. And sometimes they kill civilians and deny that or they say they were Terrorists. Cewlik wrote: The barbarian terror state Turkey say every month that they kill 200-500 Guerriallas. That would mean, that they kill 5.000-12.000 Guerrillas every 2 years. The PKK does not even have so much fighters. They are fake. 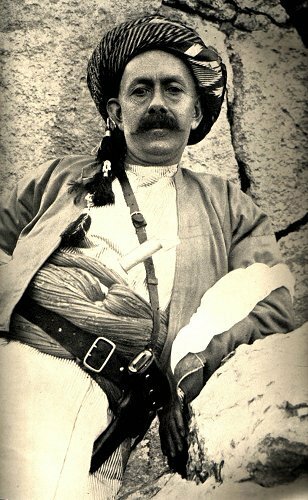 My father was a Peshmerga for 18 years (against Ba'ath regime of Saddam). Every time after a battle, they returned to their bases or listened to the radio the day after. The Ba'ath regime said every single time that they killed 20 Peshmerga fighters, 100 fighters, 15 fighters, etc. But in reality, they weren't even with that much fighters. If they said 100 Peshmerga were killed, only 13 Peshmerga participated in that certain battle and a lot of times none of them died. So they are all a bunch of liars. My father, and a lot of friends of him who have very high Peshmerga rankings atm, some of his best friends are in control of the security of cities / districts with more than 100,000 people. They've always told me that they saw who they were shooting at, so they knew how many Ba'athist dogs got killed / injured. But it was impossible for the Ba'athist to know were the Peshmerga were, since they were guerilla fighters and planned their attacks, that's why Peshmerga assaults are deadly accurate and frightening. Our enemies are a bunch of cowards. We are to strong for them, therefore they have to make up lies.